Mr. Harris is a partner at Binder & Malter LLP. Mr. Harris’ practice focuses on representing businesses and individuals in Chapter 11, both as debtors and creditors, as well as in bankruptcy litigation, state court assignments for the benefit of creditors (ABCs), receiverships, execution sales and various other bankruptcy and collection matters. Mr. Harris has substantial experience in a number of bankruptcy areas, including real estate restructurings, sales and reorganizations of high tech and general manufacturing companies, dealing with intellectual property rights in bankruptcy, and handling alleged securities laws and Federal Trade Act violations. Mr. Harris frequently lectures and writes on bankruptcy topics and has authored numerous articles, case analyses, and other material, including legislative proposals that have become law. 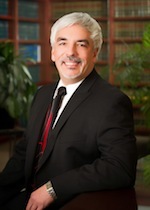 Mr. Harris has also contributed to a book on the topic of small business bankruptcy and has testified before the California State Senate on three occasions as an expert in the field of bankruptcy and insolvency regarding bills based on legislative proposals which he authored or co-authored. Mr. Harris has twice served as chair of the California State Bar Business Law Section (“BLS”) Insolvency Law Committee (“ILC”) (2001-2004 and 2009-2012) where he has been an active advisor since 2001. Mr. Harris is presently serving a second, non-consecutive three-year term as a member of the BLS Executive Committee (2004-2007 and 2012-present), is the current Vice-Chair for Member Services and has been chosen to be the 39th Chair of the BLS for the 2016-2017 Bar year. Mr. Harris was educational co-chair of the 2013 California Bankruptcy Forum (“CBF”) Insolvency Conference and an overall conference co-chair of CBF in 2014. Mr. Harris started his legal career in 1986 by serving as a Law Clerk to the Honorable Lloyd King, Judge for the United States Bankruptcy Court for the Northern District of California, from 1986 to 1988. Mr. Harris then joined the law firm on Brobeck, Phleger & Harrison before joining Binder & Malter LLP in 1993. Represented high tech company that successfully exited Chapter 11 through a confirmed plan with Daimler Benz funding operations, resulting in a manufacturing facility employing hundreds of workers remaining open. Represented the developer and various entities associated with a San Francisco high-rise in a Chapter 11 bankruptcy in which creditors received a distribution of nearly 60% on allowed claims. Represented a bankrupt medical device manufacturer that successfully marketed and sold substantially all of its assets and technology through a “363 Sale” in bankruptcy court that resulted in a distribution of approximately 70% to general unsecured creditors in the case. Represented individual debtors owning 13 real properties and four businesses successfully confirm a reorganization plan through which the debtors were able to retain their assets. In the Matter of Point Center Financial, Inc. (Reprinted from State Bar of California Business Law Insolvency Law e-Bulletin June 26, 2018) written by Partner Robert G. Harris and editorial contributions provided by Michael Davis of Brutzkus Gubner in Woodland Hills and Thomas B. Rupp of McNutt Law Group LLP in San Francisco. Attorney Rob Harris is the co-author of an ILC Affirmative Legislative Proposal, that Assemblyman Brian Maienschein sponsored as AB 2317, a bill to clarify rights of parties on execution sales by making explicit that property owners retain an equitable right of redemption notwithstanding the statement in CCP §701.680 that "a sale of property pursuant to this article is absolute and may not be set aside for any reason. Testimony by Assemblyman Maienschein and Mr. Harris can be viewed by clicking HERE, and forwarding to 1:50:00. Mr. Harris is the author of an ILC Affirmative Legislative Proposal that Senator Ellen M. Corbett sponsored as SB 1069 , providing homeowners who have refinanced their mortgages the same protection against deficiency judgments following a judicial foreclosure that homeowners who never refinanced enjoy under Code of Civil Procedure section 580b. Click Testimony to view the testimony provided by Majority Leader Corbett and Mr. Harris before the Senate Judiciary Committee in May, 2012. SB 1069 was signed into law on July 9, 2012. Mr. Harris is also the original author of an ILC Affirmative Legislative Proposal that Assemblyman Thomas G. Harman ultimately sponsored as AB 182. Mr. Harris worked with the California Law Revision Commission to achieve consensus on the face of financial industry opposition to generate a consensus proposal carried by CLRC that implemented an automatic triennial cost-of-living adjustment, consistent with federal bankruptcy law, to keep pace with inflation without the need for legislation or further review and conflict over the amount of personal property exemptions for debtors. AB 182 was signed into law on September 16, 2003.